Football Full Matches And Soccer Highlights Videos News Will Messi be out of the Golden Ball nominations this year for this reason! 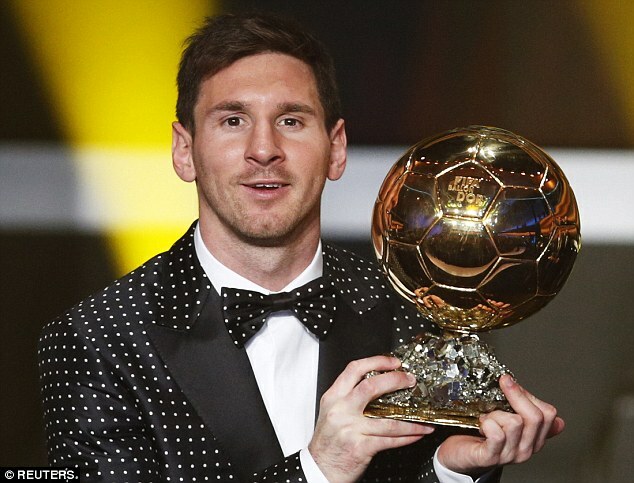 WILL Messi be out of the Golden Ball nominations this year for this reason! France Football magazine has ruled out Argentina's Lionel Messi as the best player in the magazine for the best 11 players in the Champions League this season. It was the French Footballer of the Year award and this may be a prelude to the player's absence. The squad included Buffon, Alves-Ramos-Bonucci-Marcelo in the defense and midfield Modric-Limar-Fabinho and in the attack-Ronaldo-Dybala-Neymar. Reserve configuration: Ter Stegen Barcelona, ​​chiellini (Juventus), Mendy (Monaco), Khedira Juventus (Juventus), Messi (Barcelona), Mandžukić (Juventus), Benzema (Real Madrid) Best coach in the tournament Zinedine Zidane.